Prestige Guitars is a Vancouver based guitar manufacturer, now world renowned for their quality in craftsmanship and an all around great instrument in general. To move the brand forward with current web trends and keep mobile viewers interested, the site was re-designed with a new look and a better user experience across all devices. 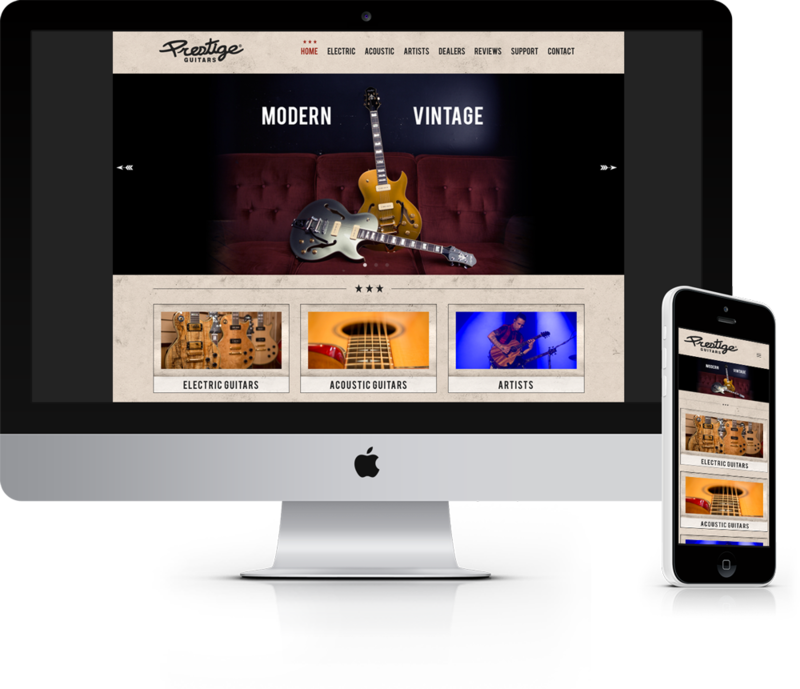 Responsive websites are the best way to provide a cross browser/device experience. The brand continues to grow with a beautiful representation on the web.